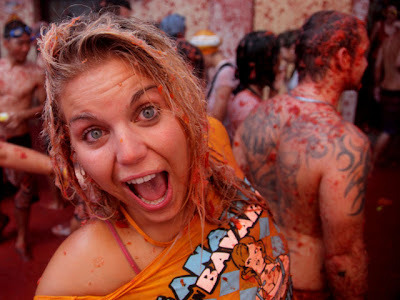 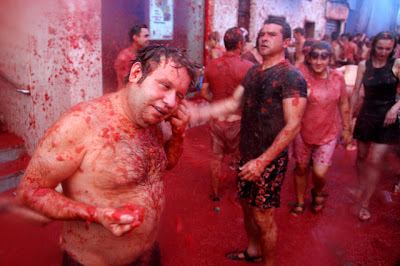 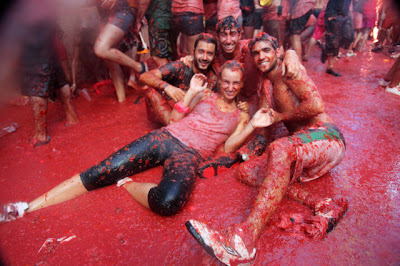 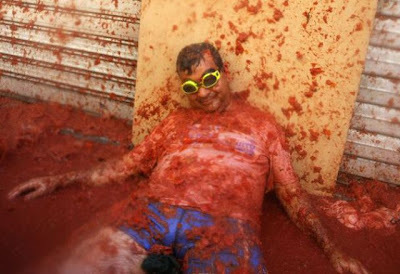 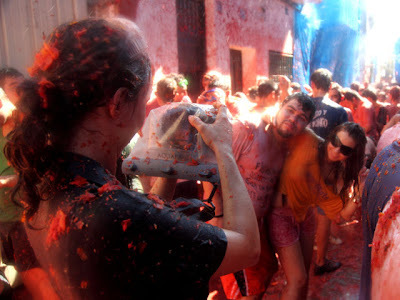 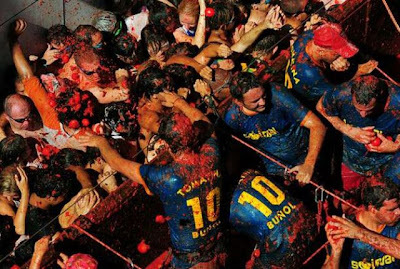 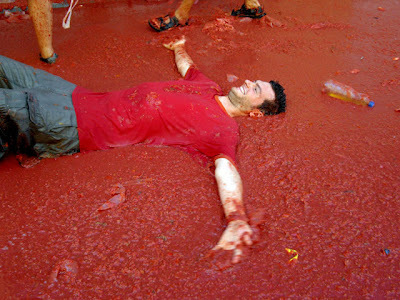 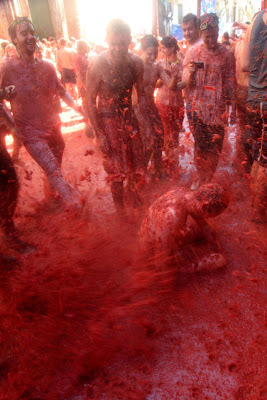 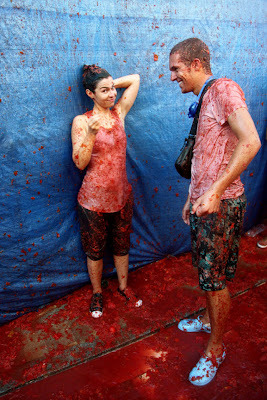 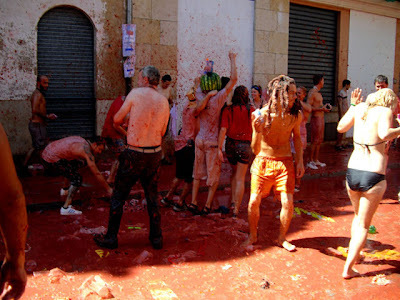 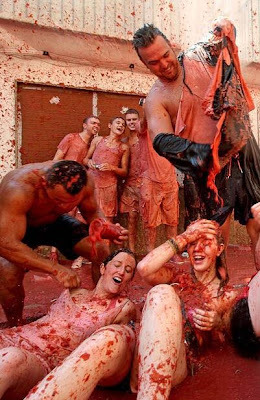 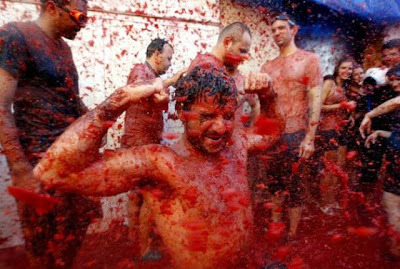 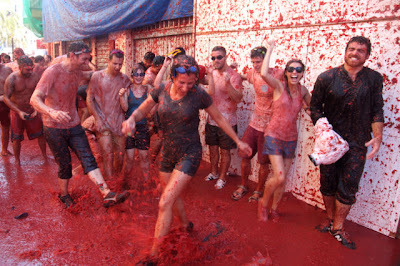 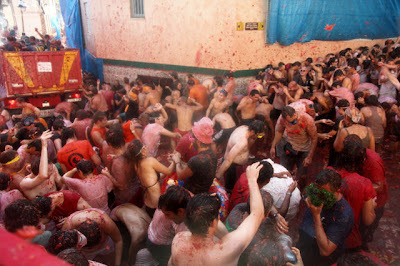 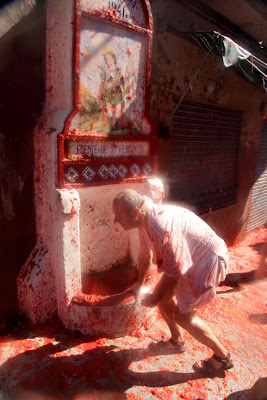 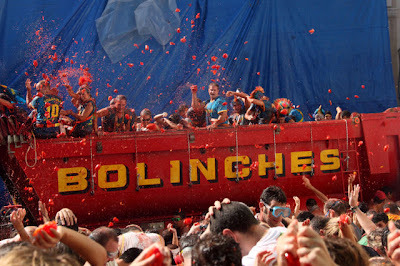 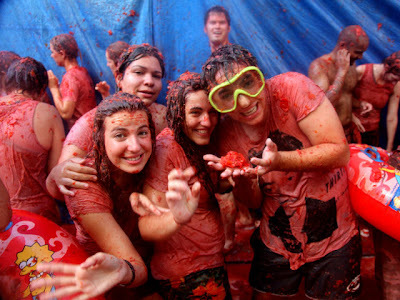 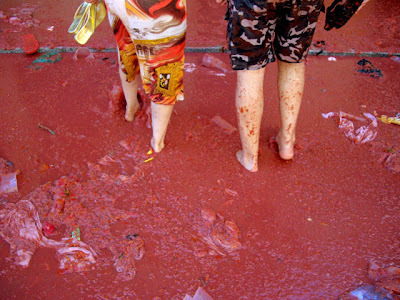 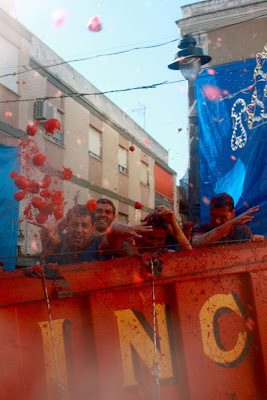 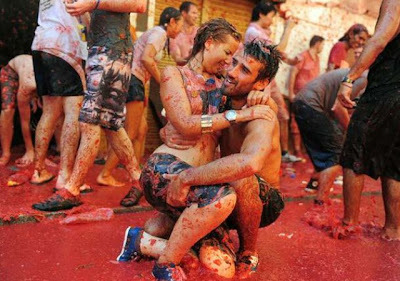 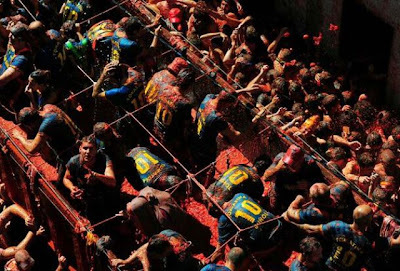 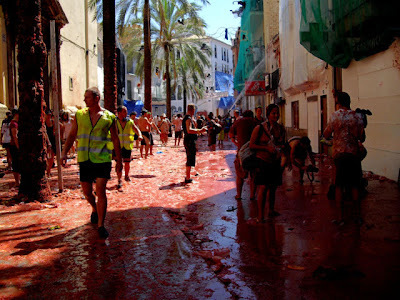 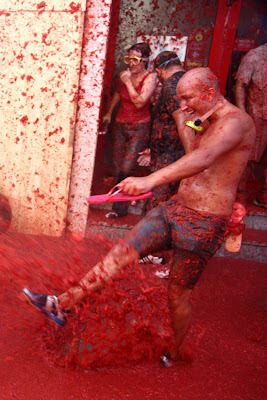 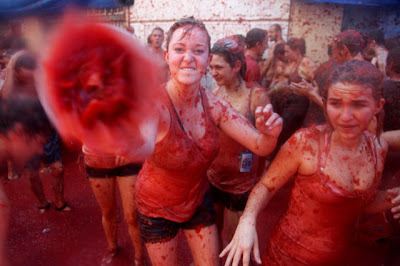 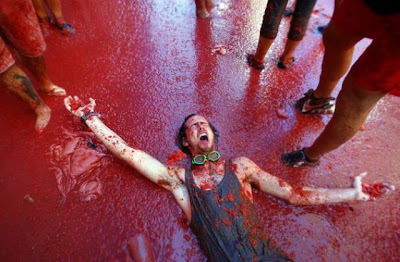 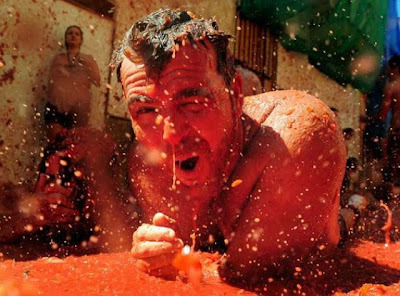 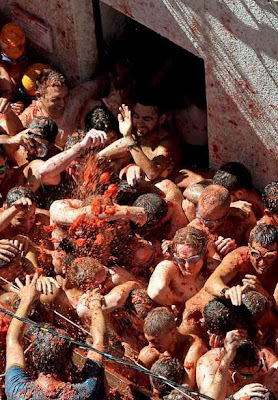 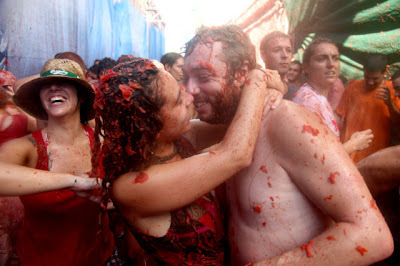 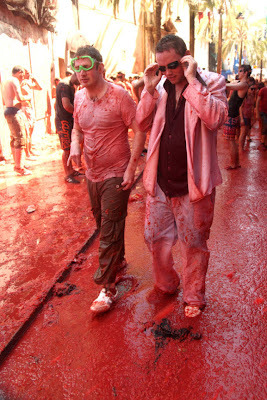 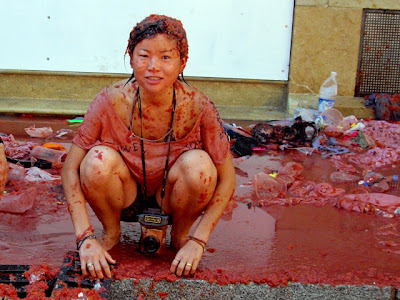 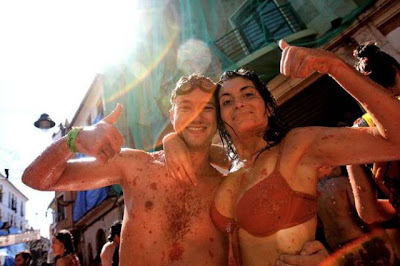 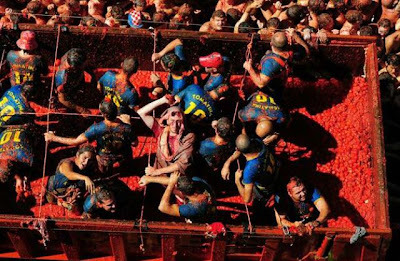 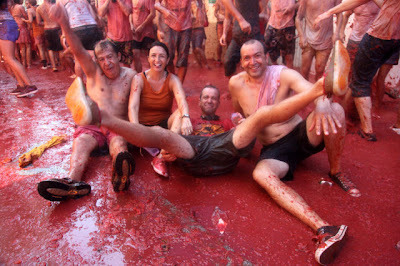 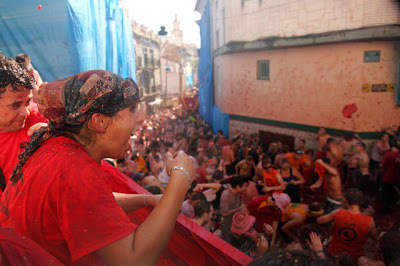 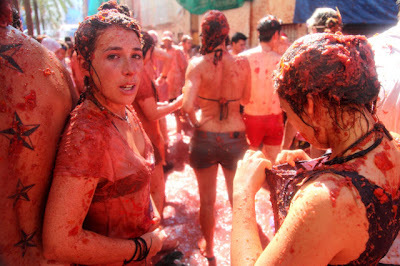 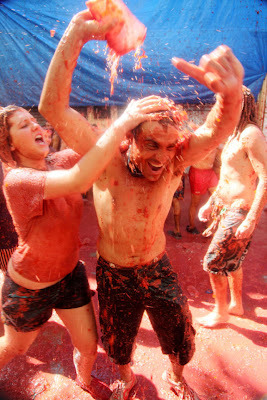 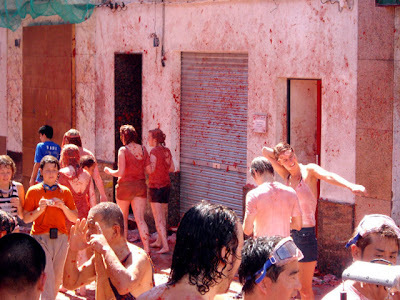 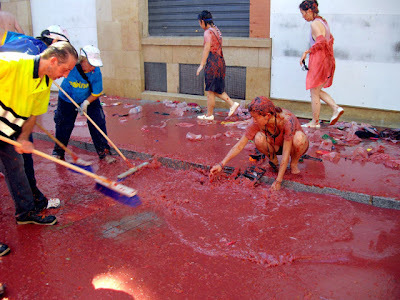 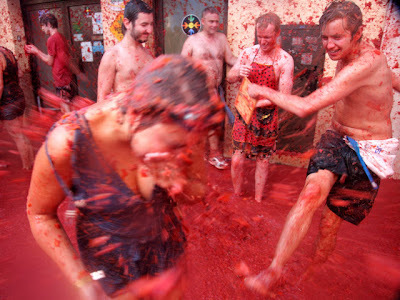 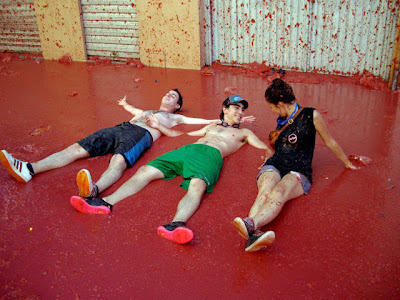 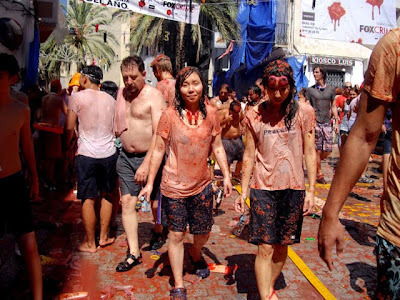 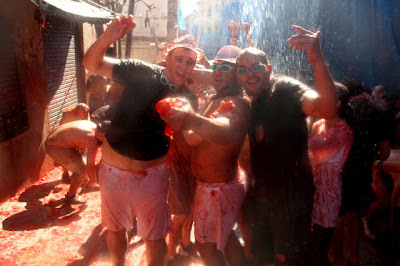 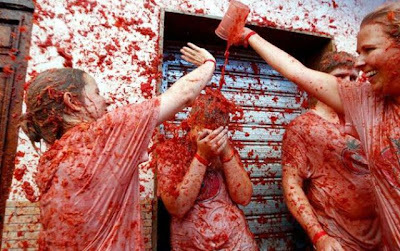 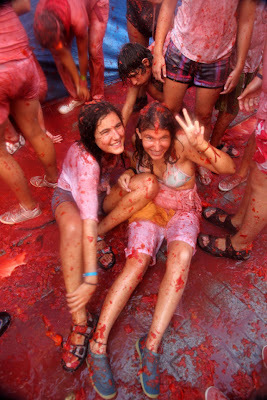 Each year in Bunol, Spain (in the Valencia region) the world's largest tomato fight commences. 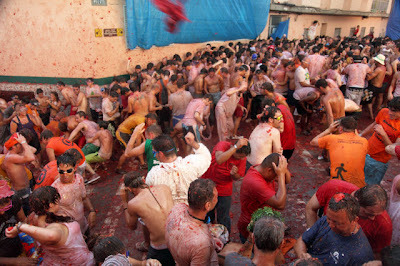 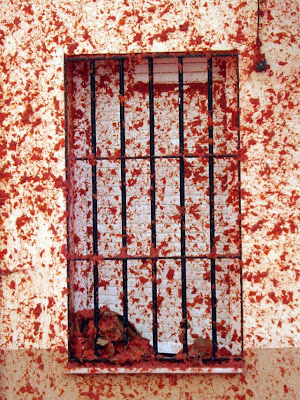 The fight is among about 40,000 tourists and uses 100 tons of ripe tomatoes. 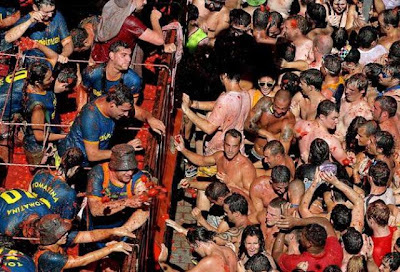 The festivities are supposed to commence when the first person climbs to the top of the two story high, highly greased up wooden pole. 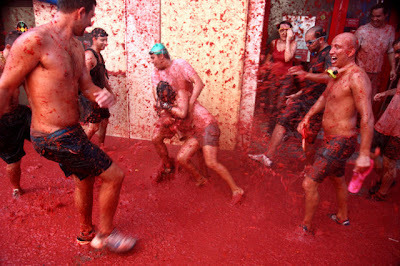 However, since this usually takes a while, people just don't wait, and the tomato fight starts early. 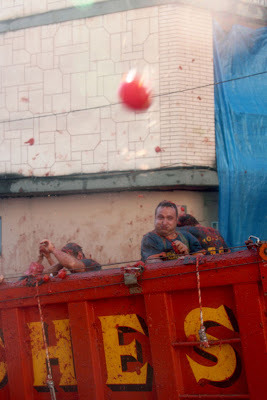 The fight is part of an annual festival that has taken place for the past 60 years. 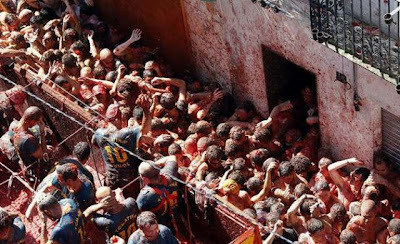 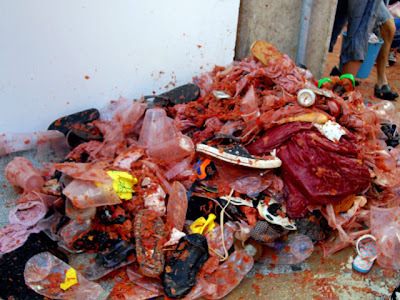 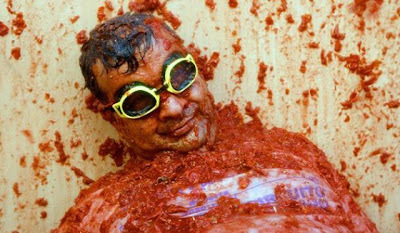 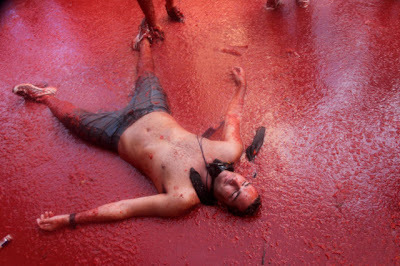 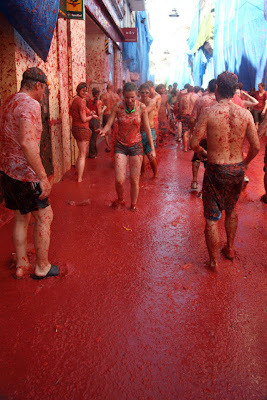 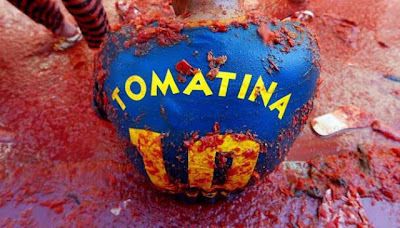 La Tomatina - Tomato Fighting Festival.